The opening sequence of L’Atalante depicts a wedding procession through a provincial village. The natural environment is austere, and so are the spectators’ clothes and demeanor, more suited to a funeral than a wedding — all of which make the bride’s ornate gown, pale face, and blonde hair that much more otherworldly and out of place. In a memorable, offhandedly surreal gesture, she boards the rundown-looking barge that gives the film its title by riding its boom from the shore, dress fluttering briefly in the breeze. 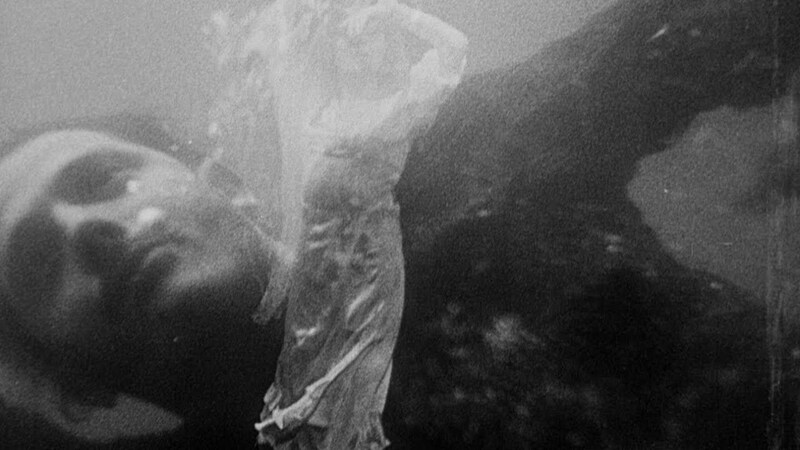 That small moment of visual poetry at the film’s beginning — “handled,” writes Luc Sante, “with such matter-of-fact brevity that it almost slips by as another item in the boarding process” — is key to director Jean Vigo’s film, which routinely finds its way onto the greatest-of-all-time lists. 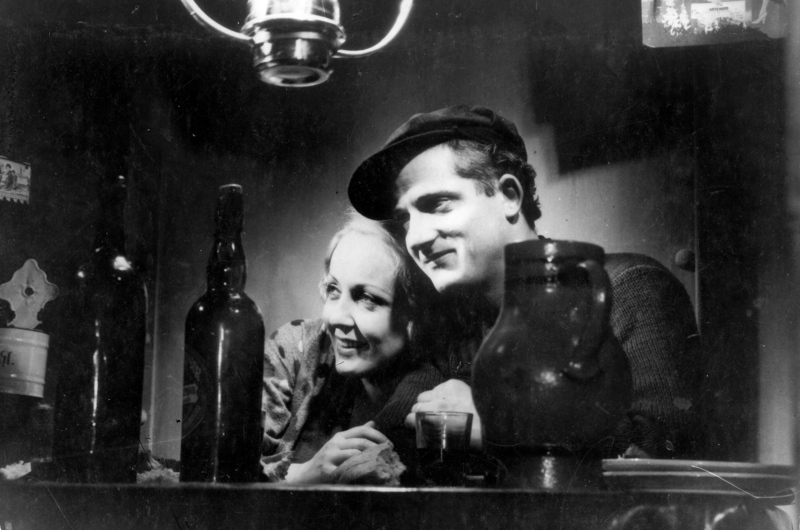 1934’s L’Atalante is not even his masterpiece (that title belongs to Zéro de conduite, an equally lyrical portrait of schoolboy revolution, released the previous year, that probably would have pleased his murdered anarchist father), but, of his short and fevered cinematic output, it’s the one that made the biggest impression in the years to come. 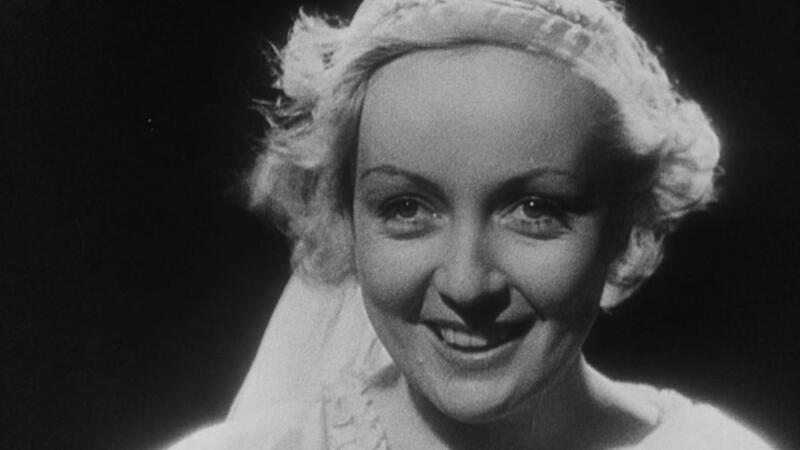 L’Atalante is the story of lovers negotiating — navigating, if you like — the new circumstances of their lives. Things do not always go well. For one thing, while the barge-commanding husband Jean (Jean Dasté) is romantic enough, he’s also grounded in the day-to-day demands of his work, which Juliette (Dita Parlo) couldn’t possibly have anticipated. (“She’s never even left the village!” one older wedding march attendee notes.) It turns out he’s jealous and she’s impulsive, for another. She dreams of Paris while surrounded by dirty clothes, the even dirtier cats who seem to proliferate in the close confines of the ship, all these trappings of working-class labor. 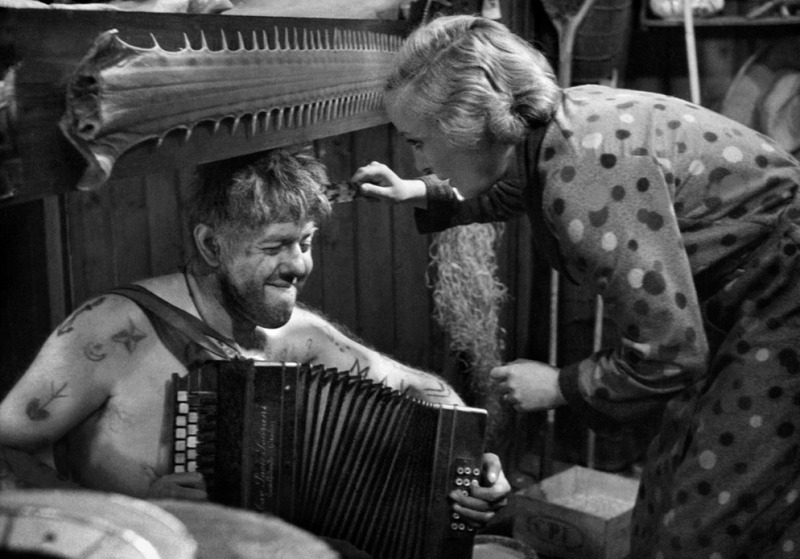 Jean’s even got a crew of tattooed inebriates like Père Jules (the great Michel Simon, playing 20 years above his actual age), more accustomed to drink and his brand of machismo freedom than some new “missus” wanting to wash his socks and have him hold up a dress for her to hem. Vigo is far more interested in these human interactions, and in contrasting epic desires and mundane realities, than the traditional narrative his financiers foisted on him for L’Atalante. There is a clear story here, of course — Juliette steals away from the ship to explore the big city, Jean spitefully sets sail without her and immediately regrets it, the lovers are reunited — but the camera lingers instead on small moments or deploys an army of visual tricks to get inside the individual psychologies. It’s less pure melodrama than a series of impressions and cues, luminous close-ups and superimpositions, realisms both social and “magical”. Not long ago, I asked friends and colleagues for examples of movies they turned on, or that turned on them. Either direction was acceptable: perhaps a film you were initially cool to, or outright disliked, found you later and cohered, or perhaps an early enthusiasm turned sour on rewatch. The usual suspects were voiced: Fight Club, A Clockwork Orange, The Usual Suspects. L’Atalante is fits solidly in this wheelhouse, or barge cabin, for me. On first watch, I didn’t notice the humanity amid the technical wizardry, and to the degree that I did, I found Jean to be an insufferable prick who Juliette shouldn’t waste her time on. Now, I think I see it more clearly: those early lines about Juliette’s inexperience with the world at large colors everything. Indeed, it’s her story, a fact that the film’s title, evoking the heroic, virginal huntress and priestess of Greek myth, probably should’ve made clear. Juliette’s lonely scenes in Paris, with her fantasy butting up against the poverty and menace of the city, are as lovingly rendered as Jean’s eventual vision of his beloved in the water, making good on her earlier mystical promise that we will always see our true love when submerged. It also occurred to me that the L’Atalante itself isn’t simply a barge but something of a traveling microcosm of human relation, an anarchist squat or group house collective on the water. This notion fits with Vigo’s politics but only becomes clearer upon revisiting. Anyone who has longed for adventure but discovered that group living, in a house or a ditch, requires compromise will understand Juliette; anyone who has been torn between the excitement of new love and the dangers to group cohesion will recognize Jean; and anyone who has looked askance when a beloved member of the house introduces a stranger into the mix, with which you’d been plenty content with in the first place, will laugh at Père Jules’ hijinks. Everyone is bound together by love, desire, and circumstance, but any sort of change will complicate matters. Resolving those complications, or at least sighing deeply and learning to live with them, is part of what it means to exist in a society with others. L’Atalante presents all this in miniature, along with its gorgeous combinations of dream and mundanity. Vigo would never make another film, dead, a legend, at 29, with a body of work that can be viewed in the shorter part of an afternoon. But the sensibilities on display demonstrate a poet, prankster, comic, and someone in love with humans, especially at our most fallible. To live happily ever after with the one you love, you must be able to live with them at all. It is not that simple. Little problems must be worked out. She does not like cats on the table while she is eating. He has a closet filled with a year’s dirty laundry. She treasures their private moments together. He treasures his best friend, who is bearded and garrulous and arrives at meals in an undershirt. She wants to see Paris. He worries about his work. You see how it is.